GOLDMAN SACHS: A trade crucial for stock-market survival is the cheapest it’s been since before the financial crisis. Here’s how you can get involved. A Greek woman has given birth to a baby boy using a controversial technique that combines DNA from three people, in the first clinical trial of its kind to treat infertility. The boy was born on 9 April, to a 32-year-old woman with a history of multiple IVF failures and poor egg quality. Both the mother and the baby are in good health, announced researchers at The Institute of Life, in Athens, Greece, where the procedure was performed. The team claim they are making medical history, but several researchers have expressed concern over the use of the technique for infertility, as this is not what it is originally developed for. Instead it was meant as a way for mothers to avoid passing on mitochondrial disease to their children. The technique is called spindle nuclear transfer, in which the nucleus from the mother is transferred into a donor egg that has had its nucleus removed. The donor egg is then fertilised with sperm from the father and returned to the mother. The resulting child would possess genetic material from the mother and the father and a small number of genes from the donor. The first child created using this technique was born in 2016 in Mexico, a little boy, whose mother carried genes for Leigh syndrome, a fatal neurological disorder linked to genes in mitochondria. In the Athens trial, the woman who gave birth did not have mitochondrial problems, says Gloria Calderon at Spanish company Embryotools, which was involved with the trial. “She has fertility problems related with poor egg quality and had four failed IVF attempts due to poor embryo development,” says Calderon. 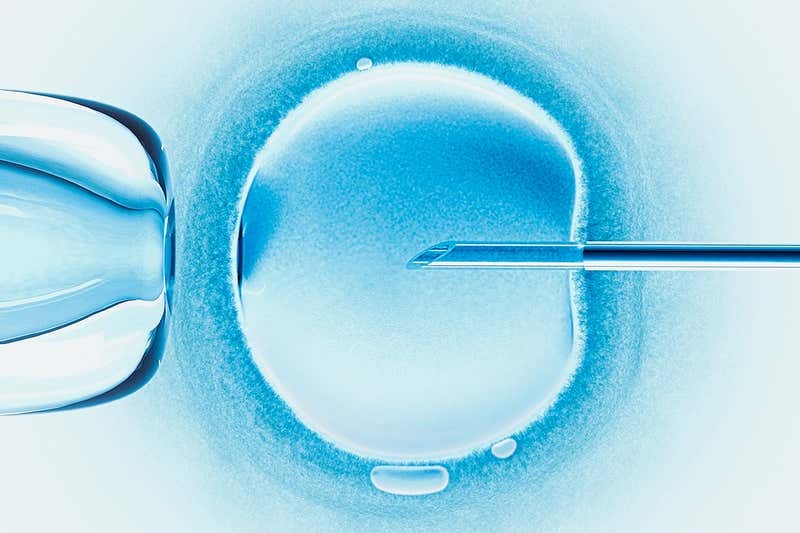 The trial’s official clinical record states that it aims to recruit 25 women under 40, who have been diagnosed with infertility due to poor egg quality, who have had at least two failed IVF attempts. The risks of spindle nuclear transfer are not entirely known, says Tim Child, at fertility clinic Oxford Fertility. Animal experiments have suggested that a mismatch between mitochondrial DNA from the donor and DNA from the mother and father may cause accelerated ageing and affect metabolism and obesity. The risks may be considered acceptable if being used to treat mitochondrial disease, but not in this situation, as the patient may have conceived with another round of IVF, says Child. In most cases of infertility, the cause is unknown. Some researchers believe that mitochondria may be involved but this has not been tested. It is not the first time that a 3-parent approach has been used to overcome fertility problems. A similar technique, called pro-nuclear transfer, has been used in Kiev, Ukraine to treat several women with poor quality eggs. This procedure involves fertilising both the mother and the donor’s eggs with the father’s sperm, before discarding the donor’s fertilised nucleus and replacing it with the mother’s. The UK has approved the use of both techniques to treat mitochondrial disease, but no births have yet been announced. The UK government’s Human Fertilisation and Embryology Authority says that each application for treatment is considered on an individual basis for patients who have a very high risk of having a child with a life-threatening mitochondrial disease. “There is limited evidence on risks and success rates, and it should only be used cautiously in cases where alternative treatments would be of little or no benefit,” said the authority. Thenewsclue is your news, amusement, well design site. We furnish you with the most recent breaking news and recordings straight from media outlets. Measles has made a shocking return to the US. Can it be stopped?